Add contemporary elegance to sign, monument and awning lighting with the 7" Domed Shade Gooseneck Light. This commercial-grade aluminum gooseneck is suited to outdoor or indoor applications. 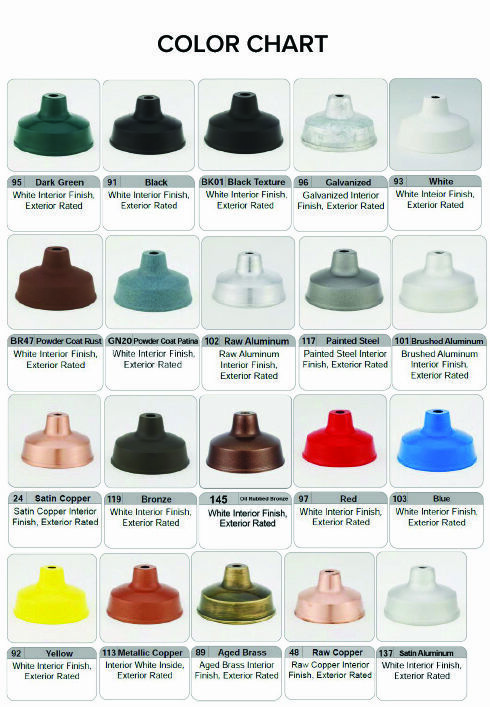 Choose a rust resistant powder coated finish from 25 stunning hues, with 5 options available at no additional cost. Standard lamping is incandescent, with upgraded CFL, MH and HPS gooseneck fixtures available by request (please call). Each sign lighting fixture has a round 4 5/8"D cast aluminum mounting plate with holes that are 3 1/2" on center; mount to any standard 4" weatherproof recessed, round or octagon J-box. The Domed Shade Gooseneck Fixture makes a contemporary addition to storefront, awning and sign lighting, for an instant boost to your brand.